With our changing lifestyle and eating habits, our health has to pay the price for our choices. As we ignore our body and give in to cravings and allow our desire to be ahead of the pack rule us and take control, our systems and organs have to pay the price for the neglect. In the present times we are not just suffering from regular disease there is a new epidemic which has been put under the umbrella term of lifestyle disease and this is Obesity. With obesity comes the threat of high blood pressure which puts your heart at risk. As you put on extra weight and become obese you also begin to have difficulty in breathing which opens you up to many health problems. Obesity hyperventilation syndrome (OHS) is a problem you are prone to fall victim to. As obese people have difficulty breathing they are likely to have less oxygen and more carbon-di-oxide in their blood. This condition might also happen due to defect in the way the brain controls breathing. With excess weight pressing against your chest wall, it becomes hard to pull in deep breaths and at times breathe quickly. When one has this condition it means that you are likely to have more carbon-di-oxide than oxygen in your blood and this is a bad omen for your health and systems. Skin also becomes visibly red. If one doesn’t take preventive measures at the right time and begin treatment Obesity hypoventilation syndrome can cause serious blood and heart problems. This can even cause disability and be fatal in some cases. While other ailments play havoc with your health obesity can also lead to serious psychological problems and an individual’s self-esteem. If you are fighting a losing battle against obesity then you must think of Curcumin. To understand Curcumin you need to know your wonder spice Turmeric. Well, Turmeric gets its beautiful colour and aroma all thanks to the phytochemical Curcuminoid Curcumin. Curcumin has pleiotropic properties which work exert a therapeutic effect. The only glitch our household turmeric does not have the right amount of Curcumin needed by us. To get that one needs to look for curcumin supplements and Bagdara Farms have the best supplements for all your needs. Curcumin is the best anti-inflammatory agent that has been bestowed upon us by nature, this action ensures that the enzymes that cause inflammation are suppressed and this way inflammation is in check. By bringing down the inflammatory messaging in various cells (pancreatic, muscle and fat cells) Curcumin helps in curbing insulin resistance, checks high cholesterol, high blood pressure and also metabolic processes which are linked to obesity. Curcumin also exerts a dynamic action by inhibiting the growth of fat tissues. The biggest hurdle in losing weight is bad cholesterol –curcumin keeps it in check and also lowers the cholesterol; cholesterol in check means weight under control. Curcumin also does the wonderful task of detoxifying your liver and this helps control weight as well as improve digestion. 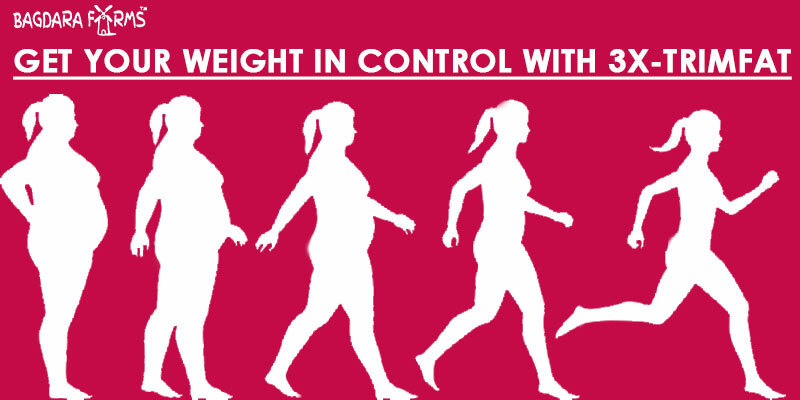 Your metabolic rate gets a boost which helps you shed weight even if the calorie consumption is high. The powerful anti-oxidant action of curcumin brings down the free radicals —-which leads to less inflammation and this results in weight loss. The formation of new mitochondria ( stomach for each cell) which break down nutrients. This implies that more fat is broken down and this translates to weight loss. The question that is to be answered no is how to choose the perfect curcumin supplement. One doesn’t need to look beyond Bagdara Farms as all their supplements are 100% organic and are created following the purest and most stringent conditions to ensure that the purity of the product is maintained. Bagdara Curcumin supplements are also enriched with the right supporting ingredients to ensure that you get the best of the product. If you want to get your weight in control then Trimfat-3X is the answer. 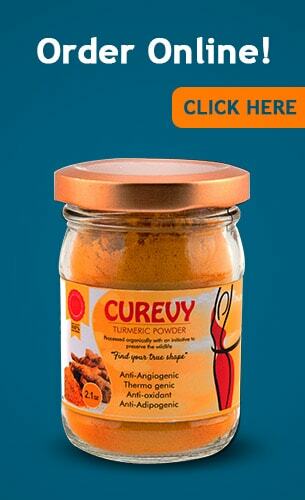 Kick the kilos with this wonderful product loaded with the goodness of curcumin.